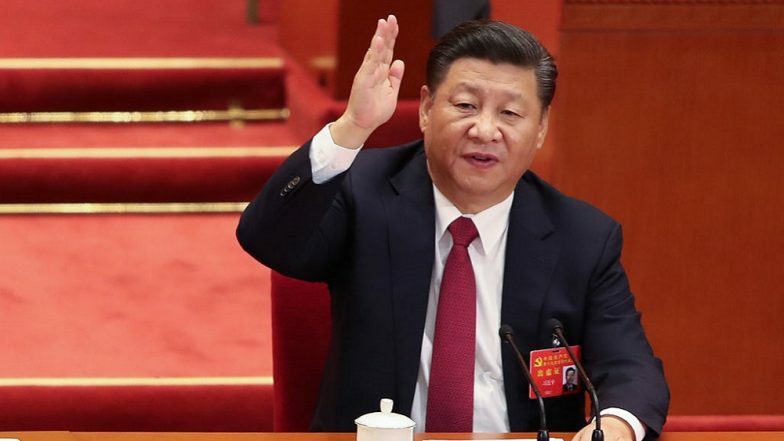 Beijing, March 28: After the United States of America (USA) moved a resolution in the United Nations Security Council (UNSC) to designate JeM Chief Masood Azhar as global terrorist, China accused the US saying its move only “complicates” the issue. In its reply to the US resolution, China said the US is undermining the authority of the UN anti-terrorism committee by “forcefully moving” a resolution in the UNSC to list the Pakistan-based JeM chief Azhar as a global terrorist. China also indicated that it won't support the unilateral draft resolution circulated by the US. Masood Azhar to be Blacklisted? US Moves Resolution in UN Security Council to Designate JeM Chief as Global Terrorist. When Chinese Foreign Ministry spokesman Geng Shuang was asked about the development in this regard, he informed the media that Washington move only complicates the issue. “We urge the US to act cautiously and avoid forcefully moving forward this resolution draft,” Geng said. Masood Azhar to be Blacklisted? Pakistan Asks China to Let UN Ban JeM Chief, But Sets Preconditions For India. Geng added saying that this is not in line with resolution of the issue through dialogue and negotiations. "This has reduced the authority of the Committee as a main anti-terrorism body of the UNSC and this is not conducive to the solidarity and only complicates the issue", he added. Here’s How China Blocked the Listing of Masood Azhar at the UNSC. In a bid to blacklist the Pakistan-based terror group’s chief, US has got the support of France and the UK. The move by the US comes two weeks after China put a hold on a proposal to list Azhar under the 1267 Al Qaeda Sanctions Committee of the Council. Earlier this week, China claimed that it would stand by Pakistan during its testing times and firmly support it to uphold its sovereignty and integrity under any circumstance. "No matter how things change in the world and in the region, China will firmly support Pakistan in upholding its sovereignty, independence, territorial integrity and dignity", Foreign Minister of China Wang Yi said.